Multiple Postdoctoral research positions are available in the Tandon Lab at The University of Texas in Houston as part of the newly formed Texas Epilepsy Neurotechnologies and Neuroinformatics (TENN) Institute. Positions are funded either via multi-year Institute funding or by NIH funds (U01 and R01). The lab uses multimodal approaches – fMRI, lesional analysis following epilepsy surgery, intracranial recordings and direct stimulation to create and validate network level representations of language. 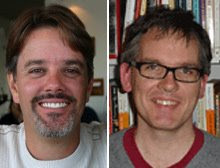 Lab Collaborators include Greg Hickok (UCI), Stanislas Dehaene (NeuroSpin), Nathan Crone (JHU), Simon Fisher Baum (Rice) and Xaq Pitkow (Rice-Baylor); the post-doc will benefit from a close interaction with these experts in the fields of reading, semantics, speech production and computational neuroscience. The selected individual must have a Ph.D. in one or more of the following: neuroscience, psychology, cognitive science, mathematics, electrical engineering or computer science. Previous experience in neural time series data analysis, functional imaging studies of language, or studies of speech production are desirable – but not crucial. They must possess the ability to independently code in any or all of the following: MATLAB, R or Python. They are expected to be highly motivated, team players with a passion to study cognitive processes using any or all of the various modalities available in the lab – imaging, direct recordings and closed-loop cortical stimulation – in humans. Given the multiple unpredictable variables and privacy issues around data collection in human patients, the individual must possess high ethical and professional standards and be adaptable. A strong publication record and excellent academic credentials are highly desirable.